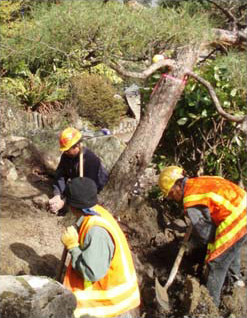 SEATTLE, WA: Big Trees Inc., (http://bigtreesupply.com) a tree installation and tree nursery company in Washington State, has recently been asked to undertake a project to help preserve some of the local trees on behalf of the Washington Park Arboretum. The trees would otherwise be in the path of a planned construction project, thus Big Trees is being asked to transplant the trees to other locations on the premises. Big Trees will also use root pruning to ensure the roots, in transit, remain healthy and able to take hold in their new location.